While eating a balanced diet is essential for good health, many researches have concluded that relying only on diet food to manage weight loss can be ineffective. Dietary changes, when not matched with regular exercise, do very little to help you reach your fitness goal for faster weight loss. Many of those who work-out gain weight because they often overcompensate by eating more than what they actually burn in calories. This is usually due to poor guidance and lack of knowledge. That is why, it is best to work-out with a trusted personal trainer in Foxboro. Exercising with a personal trainer can be a fruitful experience because it provides a venue for cooperation and motivation. This is also the reason why being in a group exercise in Foxboro can be beneficial because you are trying to reach your fitness goals alone. This way, you can exercise with your friends and incorporate healthy competition for who gets faster and better weight loss results. 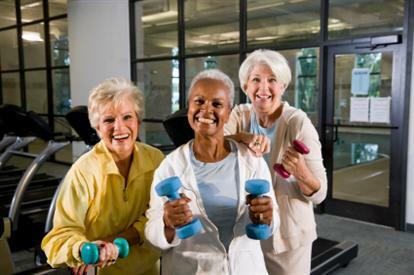 Being in group exercise will allow you an active and fun workout session with your peers. It gives you a great opportunity for quality time with friends while you exercise together. Not only will your motivation gets built up but along with it, your commitment to exercise. Plus, it is more fun and fulfilling than exercising alone. There are a lot of benefits of exercising with others who share the same interest with you. Workout with us at Answer is Fitness.